Smilistic Dental Care (Marlborough) - Book Appointment Online! Dr. Singh is a Graduate of Boston University Goldman School of Dental Medicine. He has diverse work experience internationally as well as in the United States and his expertise includes cosmetic and restorative care. Dr. Singh shared a vision to offer Attleboro- area residents advanced and comprehensive dental care at one convenient location, a dental practice where patients enjoy having all their dental needs met at one place by a team of highly qualified and compassionate professionals. 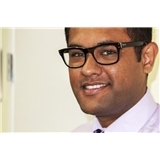 Dr. Singh brings a new energetic feeling to the meaning of dentistry. With his education, skills, and excellent demeanor, he is excited to grow this practice and be an active member of the community. Even outside the office he keeps himself occupied in organizing various dental camps and community outreach programs to contribute his services to those who need it the most.He is an active member of Massachusetts Dental Society and American Dental Association. In his free time, he enjoys exploring the many outdoor activities that the Atlantic Northeast has to offer.